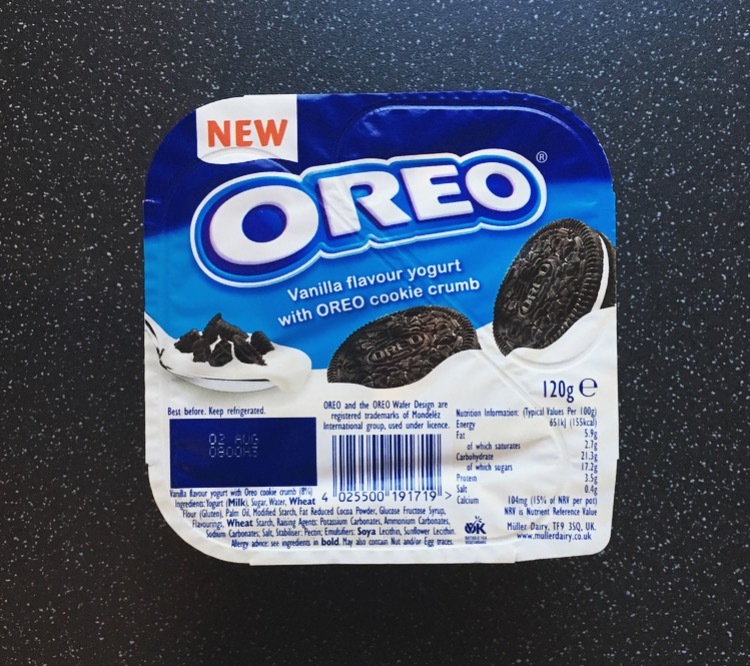 This Oreo yoghurt has been a mission to find! High and low I have searched but to no avail until last week when finally I found these in Asda. 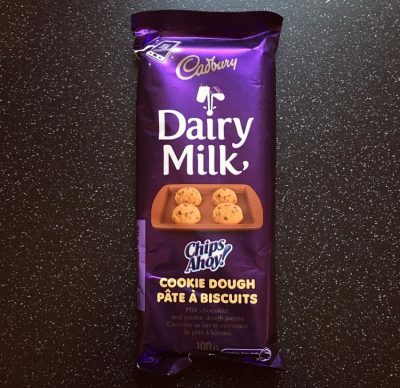 I am not sure why I have been slightly obsessed with finding these given they aren’t exactly the most exciting foodie find, however there is something about an Oreo product I just cannot keep away from. 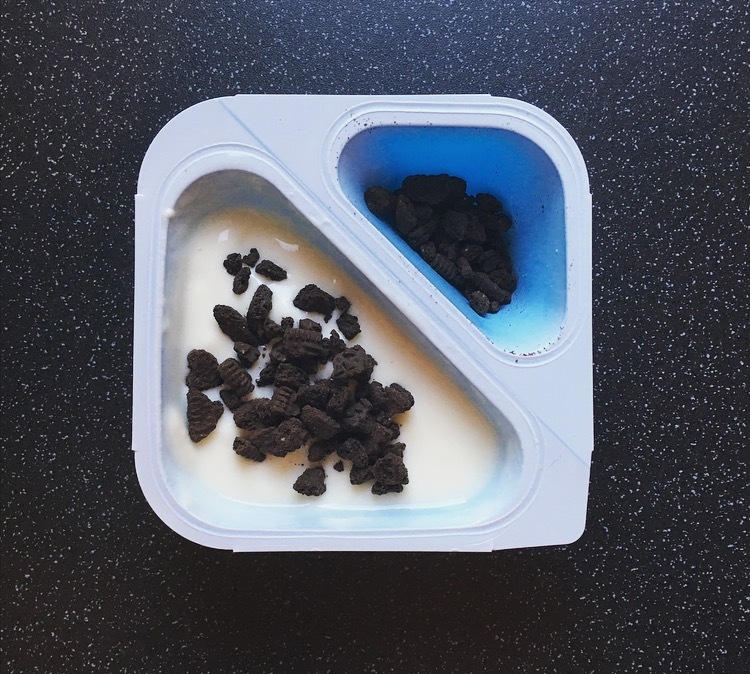 The Oreo split pot has the same set up as the Muller Corner yoghurts with crushed Oreos in the corner and a vanilla yoghurt opposite. These yoghurts are suitable for vegetarians and hold a staggering 8% Oreo cookie crumb, easy there guys and gals 8%!! I am not a person that likes to dunk the whole topping into a yoghurt and instead like to mix and match. First things the yoghurt is pretty thin and only marginally better than that of a Muller Light Yoghurt. 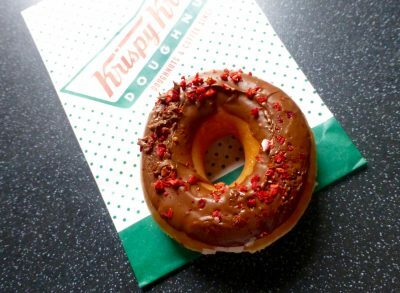 The vanilla flavour was pretty non-existent with only a real sweet flavour being present. As suspected the flavour saviour comes from the Oreo cookie crumb. There were plenty of Oreo pieces that stayed crunchy and helped to dull the sweetness from the yoghurt and give a nice dark cocoa flavour. In reality this is just a half attempted vanilla yoghurt with some crushed cookies. Rather than buying this you are far better off grabbing your favourite yoghurt, bashing some Oreo cookies and sprinkling on top. I can see why they bought it out but it really isn’t worth it, and I imagine the Oreo yoghurt won’t be around for long.